With decades of experience working on a wide range of residential and hospitality projects, we know that building a collaborative environment with our clients creates the best results. Because we take your project personally, we like to be involved in the due diligence phase, working with your designers, developers, and finance team to understand your goals and expectations. From luxury multi-unit high-rise condominiums and rentals to suburban residential complexes, we have the experience and knowledge to keep your project on track from design through occupancy. KVA provided Owner’s Project Management services for this new multi-family building in Chinatown. The project consists of 217 market rate units, 95 affordable units, and features 132 below grade parking spaces, a small park, and 11,000-square-feet of retail space. This project was LEED Silver Certified. The structure will adjoin and cantilever over the adjacent University Club, providing future expansion opportunity for the Club. Raffles Boston Back Bay (Raffles Hotels International) will be located at 40 Trinity Place and will include 146 Raffles Branded residences as well as 147 Luxury Hotel Rooms. This will be their first North American location. Located on the Boston waterfront in the Innovation District, this mixed-use development will have 114 condominium units spread over 22 stories - a total of approximately 255,000 square-feet in residential space, as well as 12,000 square-feet in retail space. 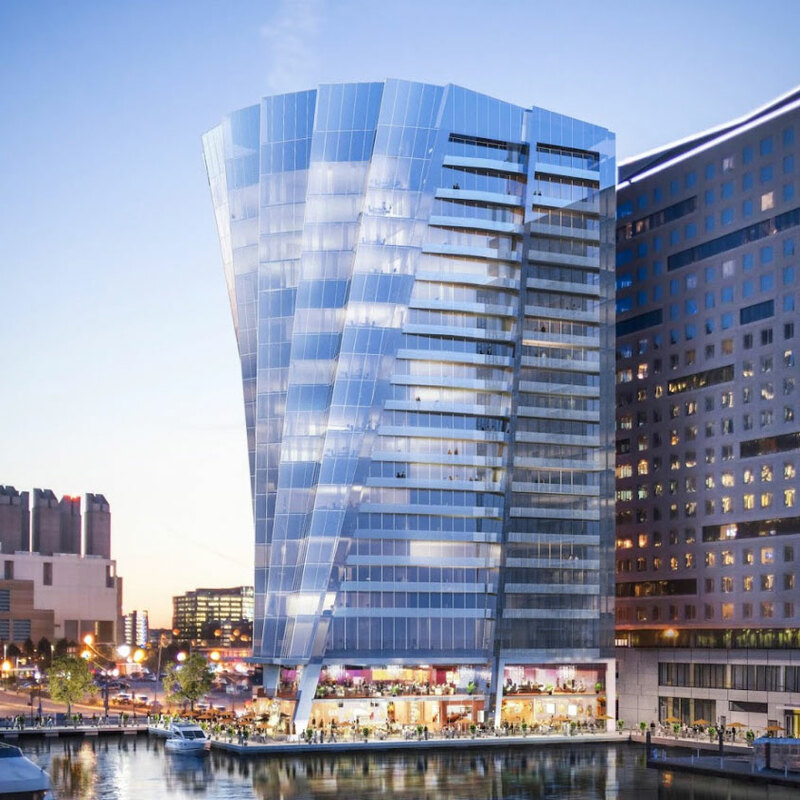 Soon to become the city’s premier residential tower, this one-of-a-kind structure will feature six glass sails rising 250 feet and fanning outward toward the water. Every residence will include private balcony space offering sweeping views of Boston or Boston Harbor. This 308,000 square-foot development broke ground in November 2017 and is on schedule for completion in June 2020. With 308 mixed-income apartments and 17,000 square-feet of retail space, Mass+Main is an assemblage of three buildings on two city blocks, converging on the prime corner of Massachusetts Avenue and Main Street in Central Square, Cambridge. The three buildings will be constructed in phases, and the project will also include subway access to the MBTA Redline and an underground parking area. This 21-story structure has 202 spacious rental units located in the Fort Point Channel District (a.k.a. Innovation District). The apartments boast panoramic views of Boston’s Seaport and feature sustainable design elements. Locally-sourced, high-recycled content materials were utilized along with non-toxic finishes for better indoor air quality. Such elements assisted the project in achieving LEED Gold certification. KVA also performed value engineering, which led to successfully changing the superstructure of the building from steel to concrete during the GMP bidding process. This $2,000,000 cost savings helped offset the rising cost in the marketplace while still maintaining the original project schedule.